real-life stories of people from around the world whose lives illustrate these findings. Available on Netflix, Amazon. Support Arts Integration Into Education through the United Nations Arts initiative. The weapons are active care, compassion, concern and focused efforts to confront the causes of violence, bigotry, hatred and depravity. The vehicle encompasses successful initiatives that address the ills of conflict, ignorance, poverty and disease. "When campaigning, be swift as the wind; in leisurely march, majestic as the forest; in attack, like fire; in standing, firm as the mountains. As unfathomable as the clouds, move like a thunderbolt to protect the weak." -- Adapted from Sun Tzu. "The Art of War"
In Christianity, the true test of a connection with divinity is the manifestation of love (agape: Greek) in the context of care, concern, compassion and benevolence. To comprehend the significance of love (agape), we need only to refer to the scripture that explains the substance of God, I John 4:8: "God is Love." It is in this divine conception that the importance of every human being is expressed, Matthew 25:40: "Inasmuch as ye have done it unto one of the least of these my brethren, ye have done it unto me." In Buddhism, as expressed by the Dalai Lama: "Compassion and love are not mere luxuries. As the source both of inner and external peace, they are fundamental to the continued survival of our species." -- The Four Immeasurables: Love, Compassion, Sympathetic joy, Rudy Harderwijk, A View on Buddhism. In Baha'i: "You must manifest complete love and affection toward all mankind. Do not exalt yourselves above others, but consider all as your equals, recognizing them as the servants of one God." -- Abdu'l-Baha: Promulgation of Universal Peace, page 453. In Confucianism: Chang Tsai’s Western Inscription (eleventh century) was inscribed on the western wall of hang Tsai’s study and was enormously influential in Neo-Confucian thought. Describing the essential kinship of all beings with heaven and earth, it maintains that compassion is the highest expression of kinship. -- Confucianism Sacred Texts, Harvard University Center for the Environment, Forum on Religion and Ecology. In Judaism: The Torah commandment to love your neighbor as yourself (Lev. 19:18), which Rabbi Akiba described as the essence of the Torah. -- Judaism 101, Love and Brotherhood. In Hinduism, Thou shalt love thy neighbor as thyself'-- because thy neighbor is thyself; God is in both thee and thy neighbor, and both are in God. He who acts in this spirit need not fear that his acts will bind him to further existence." -- The Bhagavad Gita, trans. Franklin Edgerton, p. 165. Hinduism: Ethics and Society, World Religions Area/Country Studies Cultural Awareness Language Resource. In Islam: "You will not enter paradise until you believe, and you will not believe until you love one another." Sayings of the Prophet Muhammad, Selected and Translated by Kabir Helminski. In Jainism: Nonviolence is based on love and kindness for all living beings. Nonviolence in Jainism is not a negative virtue. It is based upon the positive quality of universal love and compassion. One who is actuated by this ideal cannot be indifferent to the suffering of others. -- Five Great Vows (Maha-vratas), Complied by Pravin K. Shah, Jain Study Center of North Carolina. Love inspires an interest and focus on every need, plea or cry for help and prompts a desire to provide assistance. In the grand picture of divinity at work in all facets of the interfaith community, love is the common theme that unites and encompasses the true potential through which the scope of suffering and affliction can be alleviated and peace achieved (International Interfaith Peace Declaration). Today, the United Nations Arts Initiative Millennium Medicine Project targets 5 Billion people across the globe who lack access to basic surgical services and advanced medical technologies. According to the Association of Rural Surgeons in India, "Only one billion out the total of six billion population of the world has any access to the type of surgical care seen in the hospital of Western Europe and America. In India, out of the population of one billion as of today, not more than 10% has any access to this type of surgical care." 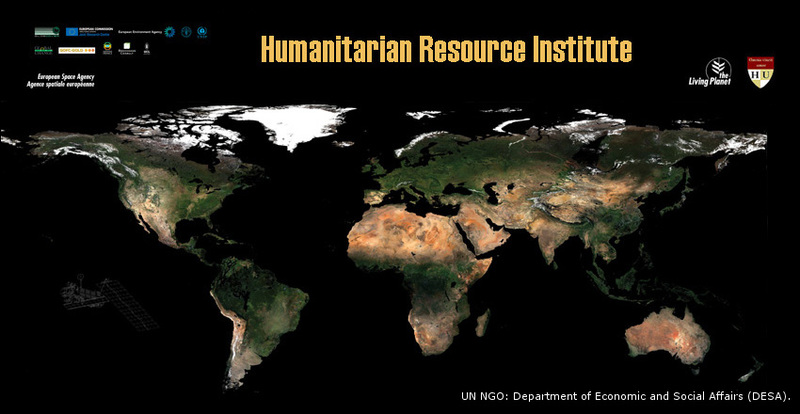 It is in pursuit of strategic planning and project development, to address the size and scope of unmet needs that exist in the global landscape, that Humanitarian Resource Institute exists today.